Whether you are enrolling your child in summer camp for the first time or are a seasoned pro, it is always good to know a little more about camp before deciding which one is the right fit for your family. 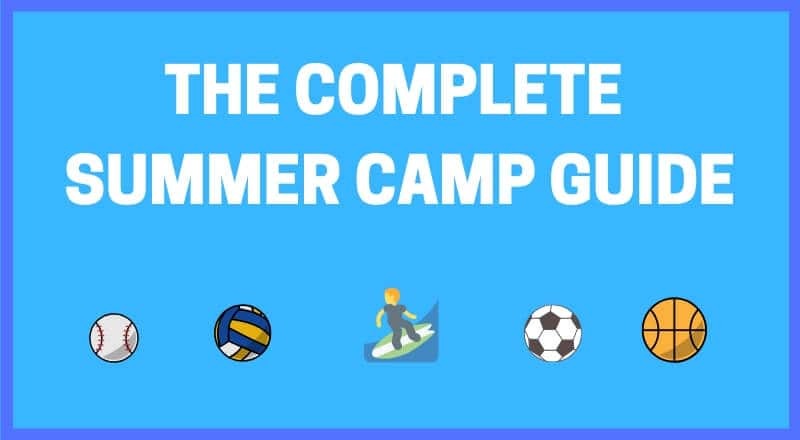 That’s why we created this comprehensive guide to everything you ever wanted to know about summer camp, and more! Summer is flying by, and it’s time to find the perfect camp to ensure your child enjoys the summer of a lifetime! First things first: the basics. To help you get a better understanding of summer camps — and the important part they play in American culture — here are some quick facts and figures on summer camps in the United States. As of 2017, there were more than 14,000 summer camps in the U.S.
As you probably know, most camps fall into one of two categories — overnight camp or day camp. Each of these camp experiences have many amazing benefits depending on the specific needs of your family. Traditionally children’s summer camps have been viewed as a place for canoeing, hiking, and gathering around a campfire. However, in recent years, a wide range of specialty overnight and day camps have emerged including music camps, art camps, weight loss camps, and even mathematics camps! Needless to say, between day camps, overnight camps, and specialty camps, there is something out there for just about every kid. As mentioned previously, summer camps are no longer limited to days spent canoeing and nights spent singing by campfires. Instead, modern summer camps offer something for even the pickiest campers. In this section, we will discuss some of the most popular types of summer camps in the U.S. to help you decide which camp (or camps!) will work best for your family. If your kid can’t get enough when it comes to Indiana Jones, Jurassic Park, and other action-packed films, it may be time to let them experience an adventure of their own by enrolling them in a summer adventure camp! Obviously, the types of adventure camps available vary, depending on your location, but some fun options to keep an eye out for include hiking, rock climbing, sailing, white water rafting, and backpacking. Whether your child is dedicated to a specific sport or wants to try out something new this summer, a sports camp is a wonderful option! 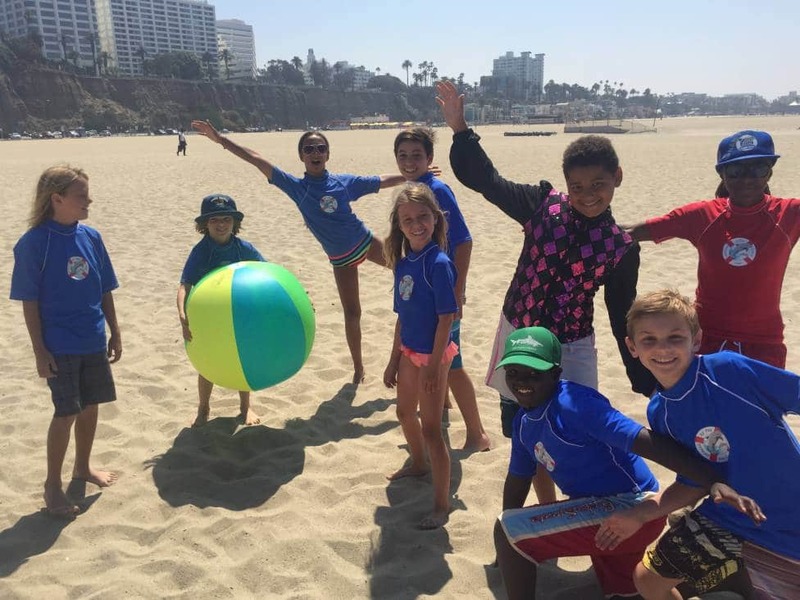 There are sports camps for pretty much every sport you can think of including soccer, gymnastics, swimming, surfing, cheerleading, and even BMX! For the young scholars out there looking to learn something new over the summer, there are a wide range of academic camp options. Some popular types of educational camps include math camp, robotics camp, foreign language camp, and engineering camp. If you have a future astronaut, mini fashionista, or America’s Next Top Chef on your hands, a theme camp may be in order. Fortunately, there are now a wide variety of theme camps available with common offerings including cooking, magic, gaming, aviation, space, and more! When it comes to sending a child with special needs to summer camp, it can often be hard for parents to find a camp that will be the right fit. Fortunately, there are now special needs summer camps that allow children to have an amazing time with their peers in an environment tailored to their specific needs. If you are worried about finding a summer camp that will appeal to your young artist — fear not! There are also a wide variety of art camps available for children including camps focused on painting, writing, theater, and music. It has also become common for many day and overnight camps to incorporate many of these diverse activities into their programs. For instance, when you kids attend certain day camps they may be given the option to participate in sports, arts and crafts, adventure, and more depending on their mood. 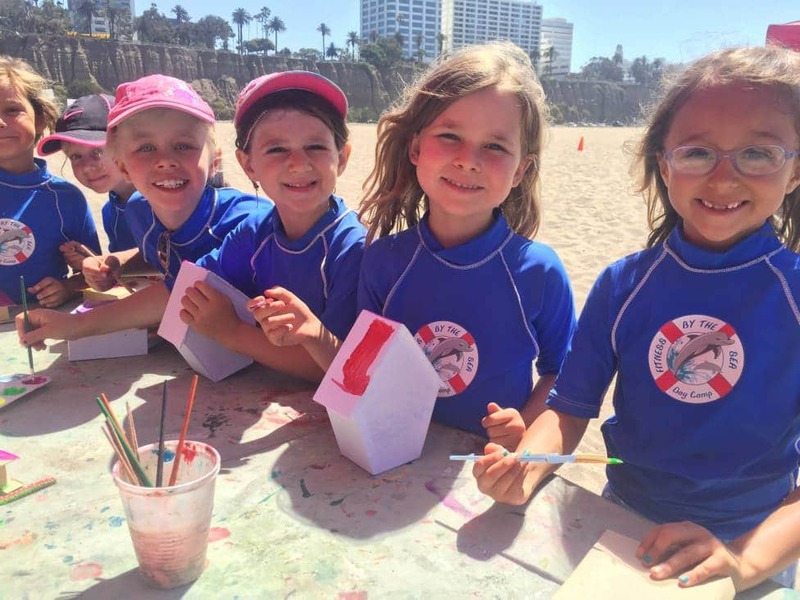 We often hear from parents who are wondering whether or not they should enroll their children in summer camp, and our answer is pretty much always ABSOLUTELY! If you are on the fence about signing your kid up for camp, here are ten of the top benefits of children’s summer camp to consider. The US Department of Health and Human Services recommends children between the ages of six and 17 get at least one hour of exercise each day in order to promote a healthy lifestyle and prevent a variety of diseases and health issues including obesity and diabetes. However, despite these guidelines, studies show that only one in three children are physically active on a daily basis. Fortunately, when you send a kid to camp, they’re not only going to get in regular exercise — they’re also going to learn important fitness habits that could carry on into everyday life. By eliminating academic, athletic and social competition, kids are able to build their self-confidence as well as their self-esteem while attending summer camp. 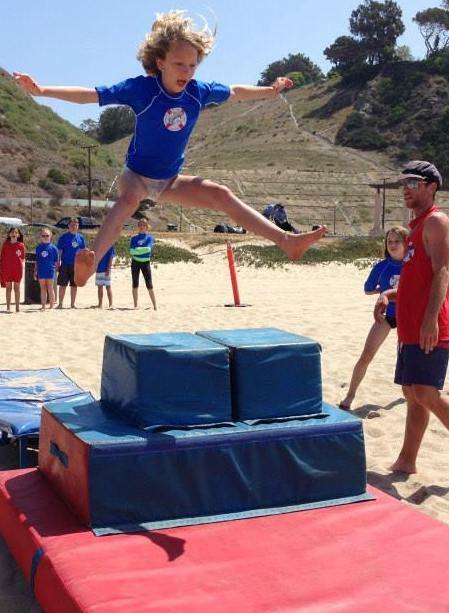 Camp shows kids that they can do anything if they simply give it a try. There is no winning or losing because they can accomplish something each day, even if it’s the smallest of things. In addition to learning and improving things they already know, your child will have the chance to practice a skill they will continue to work on throughout their lives: communication. Being around other kids their age while enrolled in a day camp for kids will allow your child to become more social and well-rounded. This will not only benefit them while in camp, but in the real world as well. Even as they become adults, the social skills they learn in camp can help them become more outgoing and successful. Some of the most successful people are those who can carry a conversation. Camp establishes their ability to do so by surrounding them with other children of similar ages and varying backgrounds. According to Psychology Today, summer camps are an ideal setting to teach children resilience to stress and optimize psychosocial development. The encouragement and nurturing provided at camp allows children to learn from setbacks and become better individuals. Your child will embrace the concept of trying something new and will be less discouraged when things do not go as well. Instead of being down and out, they will be more likely to try again or at least learn from their mistakes. Although technology can be very engaging — sometimes even addicting — it is important to instill in our children that it’s not everything. Research shows that children now actually spend upwards of seven and half hours a day in front of a screen, such as in front of a TV, playing video games, or being on the computer. Camp allows children to get away from technology for a while and interact with the people and things around them instead. They will learn to experience the real world in real time, with real people doing real activities. It doesn’t matter if your child attends a traditional summer camp or day camp for kids — they will learn some form of independence. Since parents aren’t around, they’re forced to make decisions on their own with the guidance of camp staff if needed. Camp allows children to enjoy a small amount of freedom they may not normally have and allows them to develop who they will become. The independence they experience in camp will also help them when they go off to college in the future. Kids who have experience being away from their parents tend to be more successful in their first year of college than those who do not. The friends your child will make while in camp can often time turn into lasting relationships that continue into adulthood. Some of the best and longest friendships begin at camp because socialization is so heavily encouraged. This is especially beneficial to kids who do not have siblings at home. When kids are at camp, they get to enjoy nature and all the benefits it provides. Studies have shown that spending time outdoors can relieve stress, improve academic performance, and promote sociability — no matter what age a person is. By spending time in nature, kids will not only be more healthy, but feel a whole lot better, as well! It should come as no surprise that kids today just aren’t getting the nutrients they need, mostly due to the many sugary processed foods on the market today. In fact, for children between the ages of two and 18, around 40% of their daily calories are empty calories resulting from added sugars and solid fats. About half of those calories come from foods like dairy desserts, grain desserts, and pizza and sugary drinks that include soda, fruit drinks, and whole milk. However, summer camp often provides meals for children that include kids nutrition essentials like fresh fruits and vegetables, and they will encourage hydrating with water rather than sugary drinks. One of our favorite things about summer camp is that it allows children to get out of their comfort zone and try new things. Learning to branch out and try unfamiliar and even scary things like a ropes course or a new sport gives your child the opportunity to grow and develop essential skills for living a full and meaningful life. If you are about to send your child to a summer camp for the first time, you are probably at least a little bit nervous! The good news is, that with a little bit of preparation, there is absolutely nothing to be worried about. In this section, we share a detailed checklist to help you prepare your child to have a blast at camp this summer. According to experts, signing your child up for swim lessons is the number one way to prevent drowning. In fact, swim lessons for children aged 1-4, decreased the risk of drowning by 88 percent. Additionally, enrolling your child in swimming lessons will give them the confidence and know-how they need to happily splash around in the pool with their pals this summer at day camp. If this is your child’s first summer at camp, give them as much information as possible about the program they will be attending. Be sure to tell them about all of the awesome features and fun activities that the camp has to offer. First-time campers may be homesick or worried about their new environment, so teaching them what to expect is extremely important. It’s also key to educate your child about difference and culture, as they may encounter new people and ideas while at camp. Campers need a few essential items to survive happily, some of which include sunblock, a lunchbox, bug spray, sunglasses, and swimming gear. Take a trip to the mall and make sure your child has everything they need to start the summer off right at their day camp for kids. Most day camps for kids requires an up-to-date annual exam before admitting a child. Make sure your child’s immunization records and physicals are current, to ensure you don’t have any issues with enrollment. If this is your child’s first time attending summer camp, it is important to talk about important life lessons with them such as how to play well with others, methods for resolving disagreements, the importance of apologies and forgiveness, and how to remain positive. By reinforcing the importance of these critical life lessons before sending them off to camp, you will help ensure they have an absolutely amazing camp experience!